Remington Tattoo is very proud to feature some of San Diego’s most talented, experienced, and passionate tattoo artists. 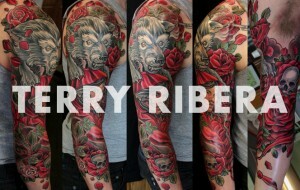 Get in touch with Terry Ribera, Nathaniel Gann, Gustavo Razo, Chris Cockrill, Alessio Ricci, Jasmine Worth, Bobby Flores, John Sabin and Kris Kezar today to start your one of a kind tattoo. 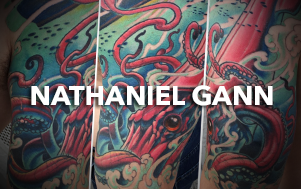 Each of our artists has a unique background and offers their unique tattooing style. Viewing each artists portfolio and latest work below to select the right artist for you. In addition to viewing the portfolios below, be sure to check out our latest work where you can see some of the things that don’t make it to our portfolio. You can get a hold of each artist by using the contact form on their page or contact the shop today.